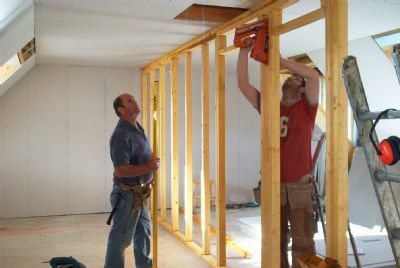 As the timber to finish the outside of the dormer windows has not arrived, the joiners decide to make a start on the upstairs partitions. 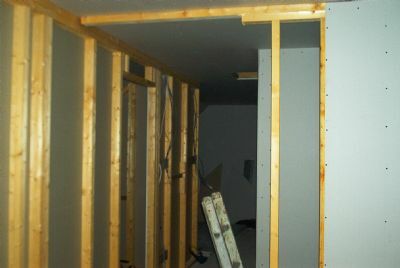 Progress is rapid, and by the end of Monday about half of the upstairs partitions are in place and sheeted with plasterboard on at least one side. 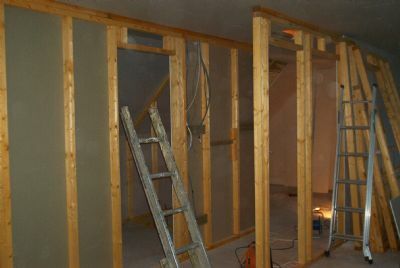 More framing and sheeting the upper floor. 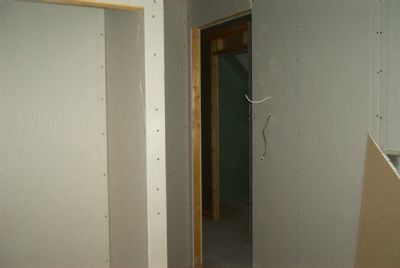 All rooms are now framed and insulated. Hopefully we will complete the sheeting (apart from the areas we need to leave uncovered for the plumber) tomorrow. 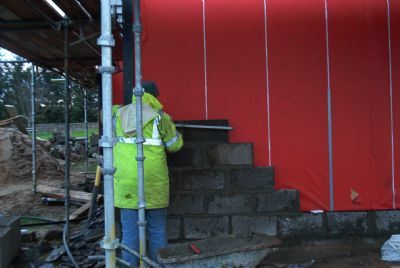 Great news - Benny returns to site with his new assistant Robert (seen above) and makes a start on the exterior block work. 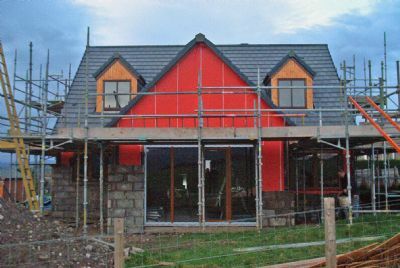 Meanwhile, the upstairs framing and sheeting is almost complete, and tomorrow the joiners fit the redwood cladding which arrived late this afternoon (or 'first thing Thursday morning' in Caithness speak) to the dormer exteriors. Alex & Stuart take advantage of the good weather to make a start on the cladding around the dormer windows (big thanks to Michael Banks for leaving his angled tressles on site). Finished job - the master ensuite bathroom window with a coat of stain. 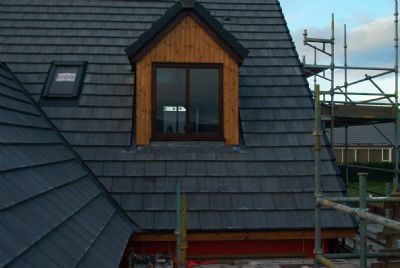 We like the contrast of the lighter stained cladding against the darker window surround. Meanwhile Robert makes good progress with the block work - we have 9 courses high along the West wall already. 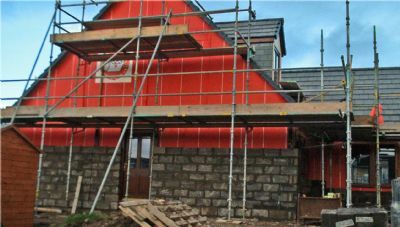 Another productive day; all the exterior dormer cladding is finished, the blockwork continues around the rear and the upstairs plasterboard is almost complete. In addition, we have finished the electric cabling. 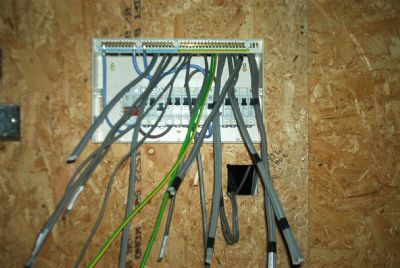 Over ½ mile of wire leads back to the consumer unit - all we have to do now is work out where everything goes.